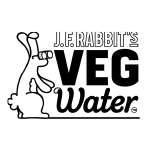 WE HELP FAST GROWTH FOOD AND DRINK BUSINESSES TO TELL THEIR STORY, CONNECT WITH THEIR AUDIENCE & BUILD THEIR BRAND. Marketing is critical for growth yet time, budgets and people are precious luxuries for most businesses. We help you to connect with your audience and stand out in today’s crowded marketplace with creative and effective marketing plans that are simple to execute. We can help to ease the pressure if you have an upcoming campaign, an innovation launch or a sudden peak in workload. You may simply want a fresh and creative perspective on your marketing initiatives. Did you know? Rhubarb grows so fast you can hear it! With Rhubarb, you get access to senior marketing advice and support at any point along the journey, totally flexible and tailored to suit your needs and help you build your brand. Not only can we provide the ‘thinking’ but we can also do the ‘doing’, meaning that you can entrust us with as little or as much as you like, giving you the space to focus on other priorities. Lucy Crook, founder of Rhubarb, mum to Louis, lover of fitness, sunshine and of course, food & drink. Rhubarb was created in 2016 to provide senior marketing advice and support to both early stage and established food and drink brands to help them seed, scale and grow. With so many new brands launching daily, the competition for shelf space and consumers’ hearts is fierce. Whether you’re looking to start a new business or accelerate an existing one, there is a constant need to stand out. Today, more than ever, there is a need to be disruptive and disruptive thinking starts with a great story. Communicating this story to your audience through powerful, relevant messages and initiatives, in the form of a marketing strategy, will help to differentiate your business. Having managed some of the UK’s most loved food and drink brands over the last 10 years, we think we’re pretty good at helping brands to achieve this. So, you see, this desire to help brands tell their stories… is our story! We are infectiously passionate about what we do and obsessively dedicated to providing an exceptional experience that works for you and your business. 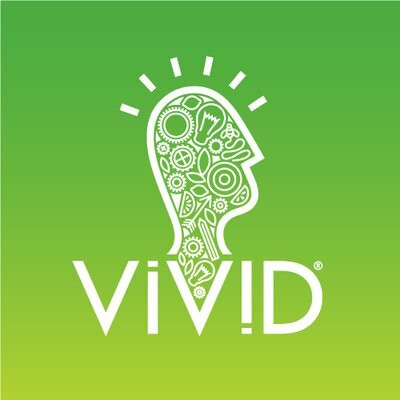 We create strong, connected marketing strategies and plans that are centered on your brand, linked to your business objectives and simple to execute. The plan will help to focus your time and budget on the marketing activities that will make the biggest difference to your business and generate the best return. We can also support you with the implementation of any elements of the plan and check in with you at key milestones along the way. We can help you to develop, execute and evaluate your campaign. We will work with you and/or your chosen agencies to set objectives, build an effective multi-channel campaign, manage the budget, relieve you of vital administration tasks, monitor and evaluate results for future activity. We can manage the campaign in it’s entirety or execute an activity within it. Having worked with big and small budgets over the years to deliver successful integrated marketing campaigns, we have the expertise and creativity to help you shape a hard-hitting campaign that delivers business growth. What does your brand say about you as a business? Brand identity is more than just a logo. It’s a whole visual language, multi-layered with meaning, that reflects how you want customers to feel about your company. It tells a story and resonates with your target audience, allowing them to distinguish you. Whether you are just starting out or refreshing an existing identity, we have the experience and expertise to help you develop a strong visual identity that can be adapted across all communications and that, in turn, strengthens your business. Running a business is all-consuming. With so many day-to-day responsibilities things can sometimes get a little murky. You may be muddling through when it comes to marketing but would benefit from having someone to bounce those all-important ideas and decisions off on a regular basis. Sometimes all it takes is a good listener and a little advice to help relieve the day-to-day pressures and ensure that time and budget is efficiently used. For a flat monthly fee, we can be your sounding board – someone who you can say any weird thing to that pops in to your head and we will listen (perhaps laugh) and advise where needed. If you would like us to contribute to panels or discussions, run a workshop or offer mentoring support we would love to hear from you. 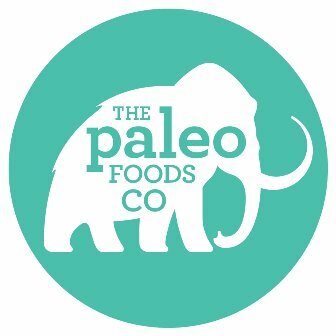 Tasked to define The Paleo Foods Co brand positioning and build a strategic plan on how to raise awareness on limited budget; Lucy condensed this complex task to deliver a simple, effective and actionable plan that could be implemented immediately. The strategy also gave me a road map to use in my business going forward. Lucy was able to turn this around at speed and is highly efficient, taking away the worry of additional workload when your time as an entrepreneur is already so stretched. Lucy is someone I could trust right away, she is an ideal mentor for early stage food businesses. She is also someone who is highly relatable who you can trust to swiftly understand and represent your brand when engaging with outside agency's. She has helped build my confidence in executing marketing plans and opened my eyes up to what is achievable on small budgets - thank you! Working with Lucy was an absolute pleasure and she brought a lot of value to our team; we needed support to launch innovative new products and Lucy's wealth of experience with high growth f&b brands provided us with both the strategic and the executional support we required. I look forward to working with Lucy again in the future. Lucy completely adapted a campaign for us in an extremely short space of time, making it much more brand focused and cost effective, introducing clear KPIs, accountabilities and ROIs. She managed challenging agency and stakeholder relationships with skill and brought the campaign back under control and in budget whilst pioneering a game changing social media and content strategy to maximise reach. I hugely value how self-sufficient and full of initiative Lucy is; she doesn’t need hand holding and will go the extra mile for her clients which is a real breath of fresh air as a busy manager! Lucy perfectly communicates the benefits of getting your marketing right! We now have a clear understanding of where Lucocoa sits in the market and a strong marketing plan for the year ahead that we can deliver from the ground up without too much budget. Lucy has an amazing ability to distill lots of wonderful ideas into a tight, deliverable strategy. She’s not afraid to challenge the agencies we work with and is keenly focused on the deliverables. Most importantly, she’s great fun to work with, is hugely experienced and I trust her implicitly. Lucy is extremely passionate about delivering value led campaigns and this shines through with her meticulous attention to detail and ability to probe into finding the right solutions. I would recommend Lucy to anyone looking for a seasoned and knowledgeable marketeer. I always hope to work with clients that are clear on what they want to achieve but who are brave enough to take take decisions that make a brand truly engaging. Lucy was all of the above and more. 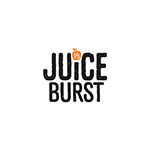 Under Lucy's direction we created JuiceBurst’s first social tone of voice spearheaded by a content series which was produced in collaboration with some of the UK's biggest Gen Z influencers, resulting in 3-5 the engagement rate of traditional creative campaign messaging and a significant ROI. This success is testament to Lucy's ability to truly understand how to make a brand 'more social' while delivering real, tangible results. As well as being a delight to work with, it is this rare talent that makes Lucy's strategic leadership an invaluable asset on any social communications project. We are proud to live and breathe our values every day at Rhubarb. They embody who we are, what we stand for and the way we like to work with each and every client. Care about what we do and the people & brands that we work with. We don’t believe in being boring. We apply brave challenger brand thinking to help you maximise your marketing potential, disrupt the market and have an edge over your competitors. We value collaborative working relationships. To enable us to deliver the best we strive to truly understand your business to deliver activity that supports your objectives and converts to revenue. We see ourselves as a genuine extension of your team. Open, honest and reliable. Always. A value and our mindset. We embrace proactivity, positivity, possibilities and purpose. We take ownership and continually look to learn and improve.